Yesterday, it finally started to really feel like fall weather here. Fall makes me happy, and when I'm happy, I like to bake. I've been making quite a few apple desserts lately, and so I thought it was time to make something with pumpkin. 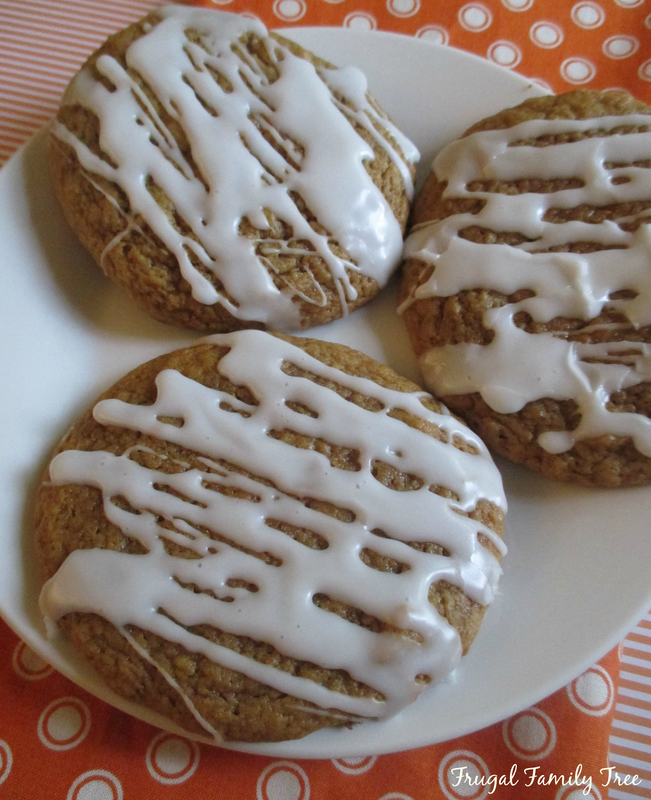 These Pumpkin Spice Cookies are pretty fabulous, and I made them fairly large, big enough so that one was enough for each of my grandchildren to enjoy. I think that one of the delights of baking is the way the kitchen smells so heavenly when something good is in the oven. These cookies smell like fall itself, and should do just the trick if you need a yummy pumpkin treat fix. I live near a wonderful market that sells fresh spices by weight, so I was able to go buy my fall spices that I need for my baking. They are super fresh and less expensive when you buy them this way. Who wants to open that bottle of pumpkin pie spice that has been sitting around for years because you only use a teaspoon or two of it every season? 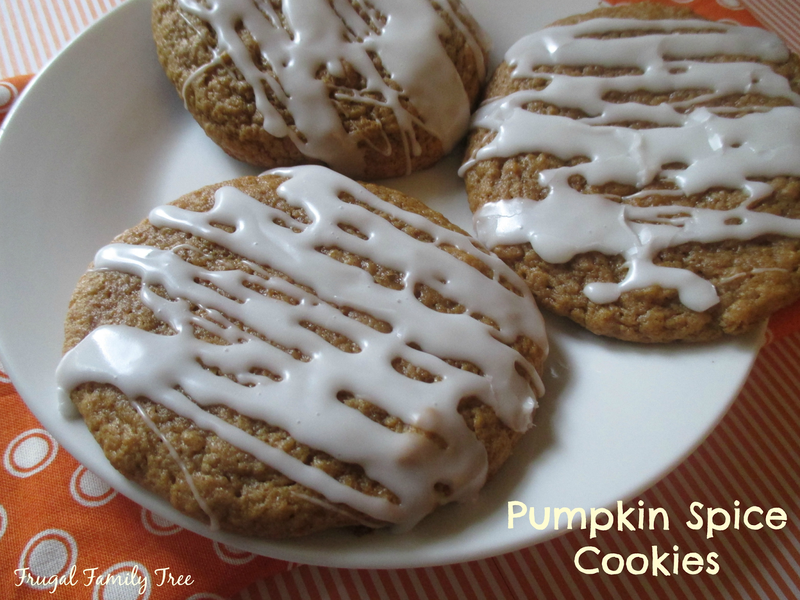 So, if you are looking for a great cookie recipe, try these, soft and yummy glazed cookies, Perfect with a glass of milk on a chilly fall day. Preheat oven to 350. Spray cookie sheet with baking spray, or line with parchment paper. Combine flour, baking soda, baking powder, cinnamon, nutmeg, and salt in a medium bowl. Beat sugar and butter in a large bowl until well blended. Beat in pumpkin, egg, and vanilla until smooth. Gradually beat in flour mixture. Drop by rounded tablespoon onto prepared cookie sheet. Bake for 10-12 or until edges are firm. Cool on cookie sheet for 5 minutes, then remove to wire rack to cool completely. Drizzle glaze over cookies. To make glaze, combine powered sugar, milk and vanilla. Stir until smooth. Makes about 18 large cookies.